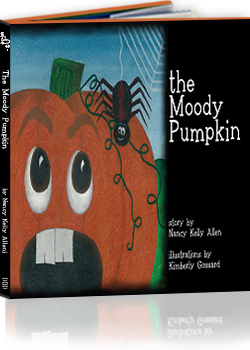 You will find yourself in a Halloween mood as you tell this story about an unhappy pumpkin. What is it going to take to make this Moody Pumpkin smile? I wonder why he is so moody? A bat, a spider, an owl and a Wee, Wee Witch do their spooky best to make this grumpy pumpkin happy.